The Jackal 1997 - 125 min. 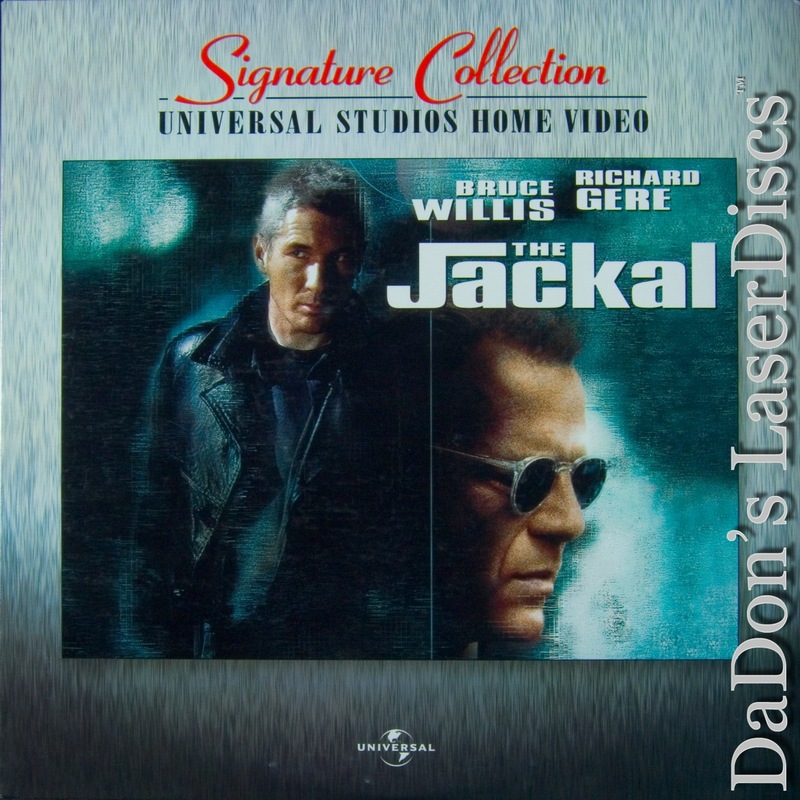 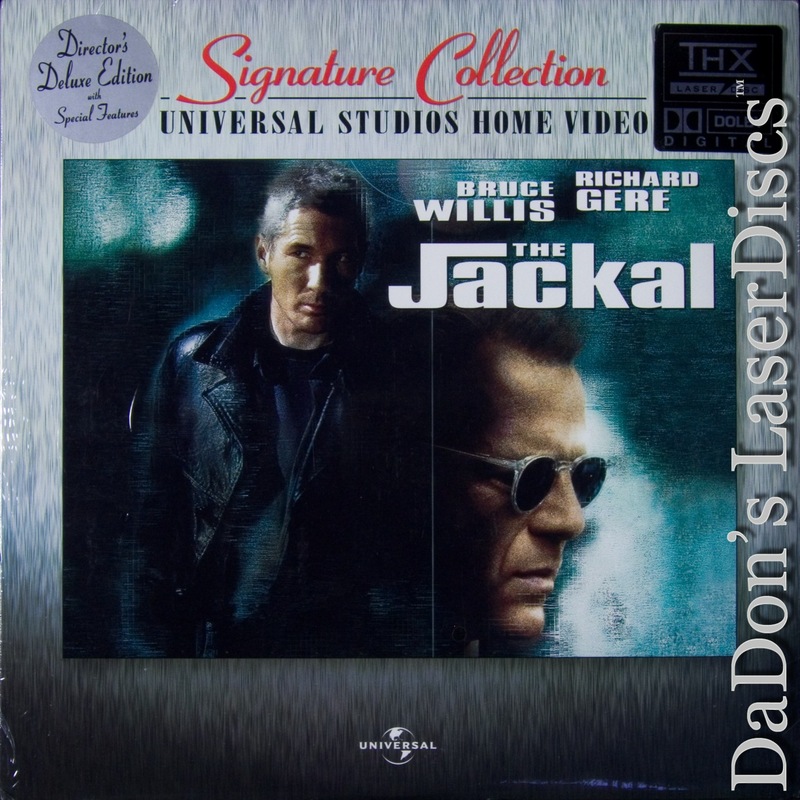 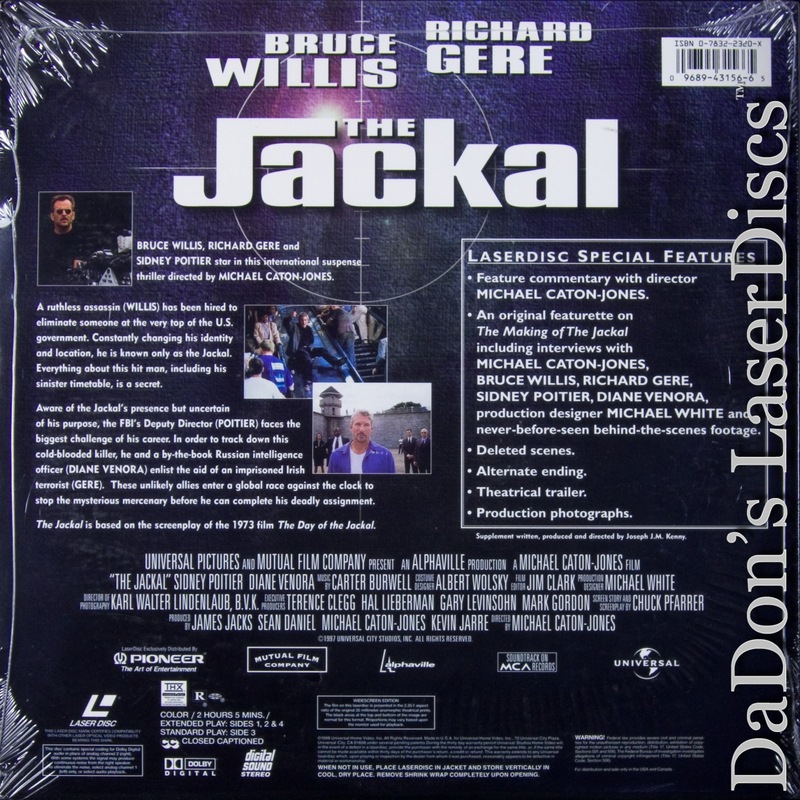 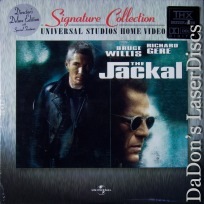 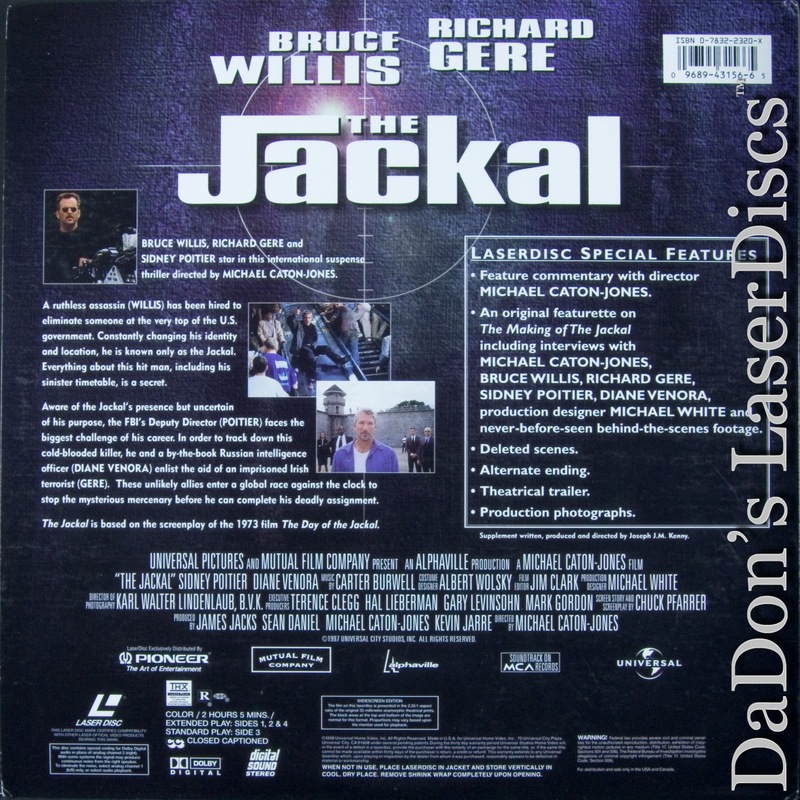 - Color Genre: Action Rated R Country: USA LaserDisc Movie Storyline: An update of THE DAY OF THE JACKAL, this spy thriller offers a seasoned FBI man, a rigid Russian agent, and a black-sheep I.R.A. terrorist teaming up to stop a nasty and extremely well-paid assassin from offing a U.S. official. 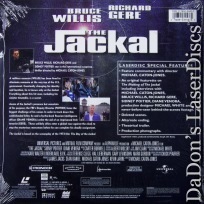 A winning thriller from director Michael Caton-Jones.